CHANDIGARH: Punjab Local Bodies Minister Navjot Singh Sidhu has "returned" from his "self-imposed exile" of almost three weeks. His long absence from office has reportedly led to work piling up in the most "public dealing" department of the government. The firebrand minister had gone incommunicado for the part three weeks. He was reportedly in Delhi, but had "refused to get in touch" with anyone from Chandigarh. His close aides maintained he was not talking to anyone because of a "dental procedure he underwent", during his absence. Highly-placed sources in the government said that Sidhu had even refused to talk to Punjab Chief Minister Capt Amarinder Singh, who tried to reach out to him twice. Sidhu's rather long absence from work now and the alleged delay in his decision making has been a sore point within the state unit of Congress. 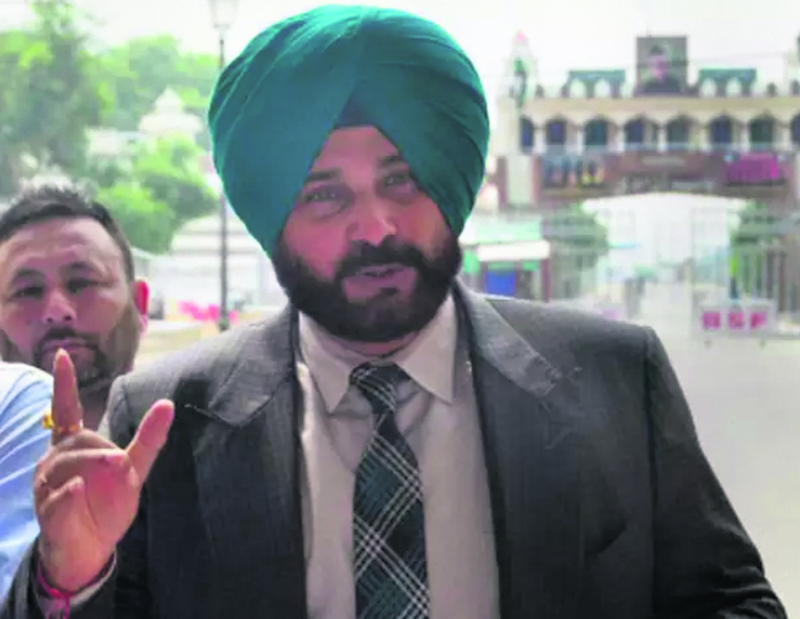 When contacted, Sidhu said, "It is wrong to suggest that I was sulking. I had undergone a dental procedure and was advised bed rest. I decided to prolong my bed rest till I felt better." When asked about his role in the Congress during the general elections, Sidhu said, "I have not been assigned any role by the Congress High Command, including campaigning for the party. I am waiting for them to assign me a role appropriate to my stature." The leader added that he had never sought any ticket to contest the election. He said, "I was sounded well in advance about my role in campaigning. I have already told my party that I will not contest from anywhere other than Amritsar. I had left the BJP only because they wanted me to contest from Kurukshetra." Reports of Sidhu sulking come from earlier when he was reportedly snubbed by the office of Congress president Rahul Gandhi, when he was not allowed to share stage with the latter at the rally in Moga last month. His name was also not included in the list of star campaigners released by the Congress party. Meanwhile, the leader's wife Navjot Kaur Sidhu had also not been granted the party ticket for contesting the Lok Sabha polls from Chandigarh- a seat she had been eyeing for herself. She had even expressed her "disillusionment" over not being considered for the party ticket, after Pawan Bansal was announced to contest the seat. Returning to his office after 19 days, Sidhu cleared some files, sources said. An official source said, "that he attended office and cleared 25 files of change in land use; issuing of charge-sheets, administrative work and granted approvals for sanctioning building plans of commercial and multi-storey residential projects."